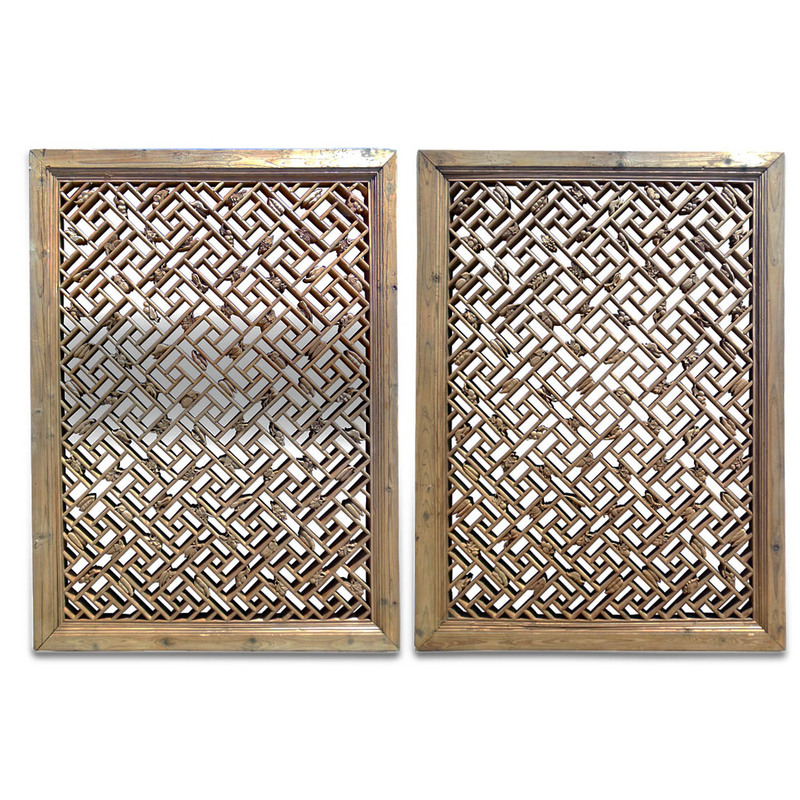 A set of four intricately carved antique Chinese lattice windows from the Jiang-Zhe area that includes cities like Suzhou, Hangzhou, Ningbo, Shanghai, and more, with lakes or rivers running through, or by the water. These windows are intricately carved with a variety of Chinese fruits and vegetables such as water fruits, corns, bamboo shoots, Lychee fruit nuts, Buddhist hand fruits, lotus roots, and many others, showing the geographical elements and cultural influence of the area in which the art work was created. 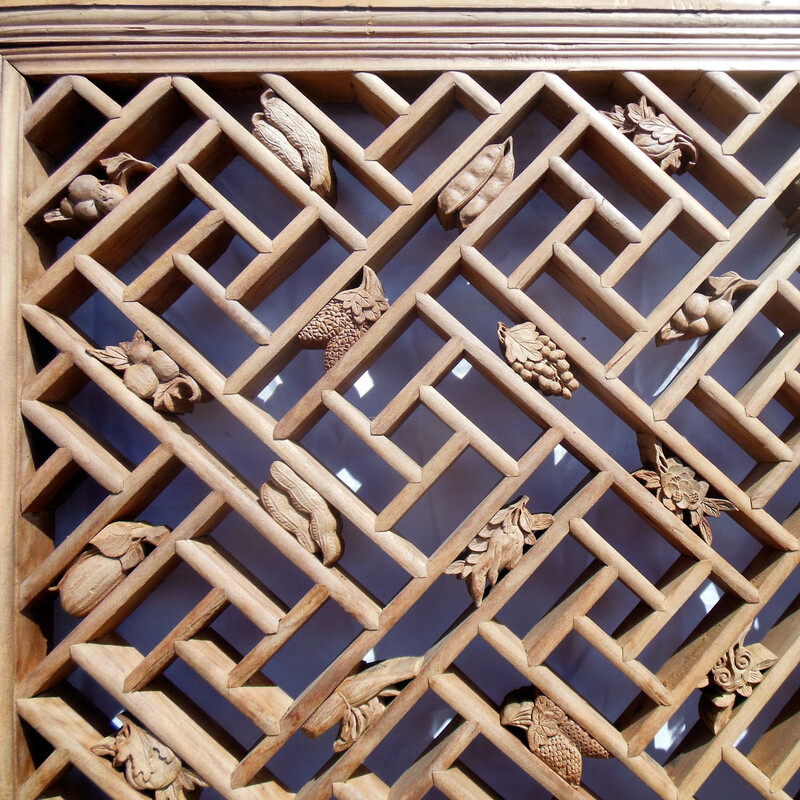 The refine carving on this set of windows alignes with some of the best workmanship in other wood work, such as furniture, created in this area from the early time. The choice of subject with a theme in nature is a reflection of and is deeply rooted in the ancient Chinese philosophy. These lattice windows were used to shield heat or cold with shutters made of solid wood panels in the back that were up and closed, and to provid privacy as well. They also functioned as ventilation for the air when the shutters were down during the moist and hot weather. 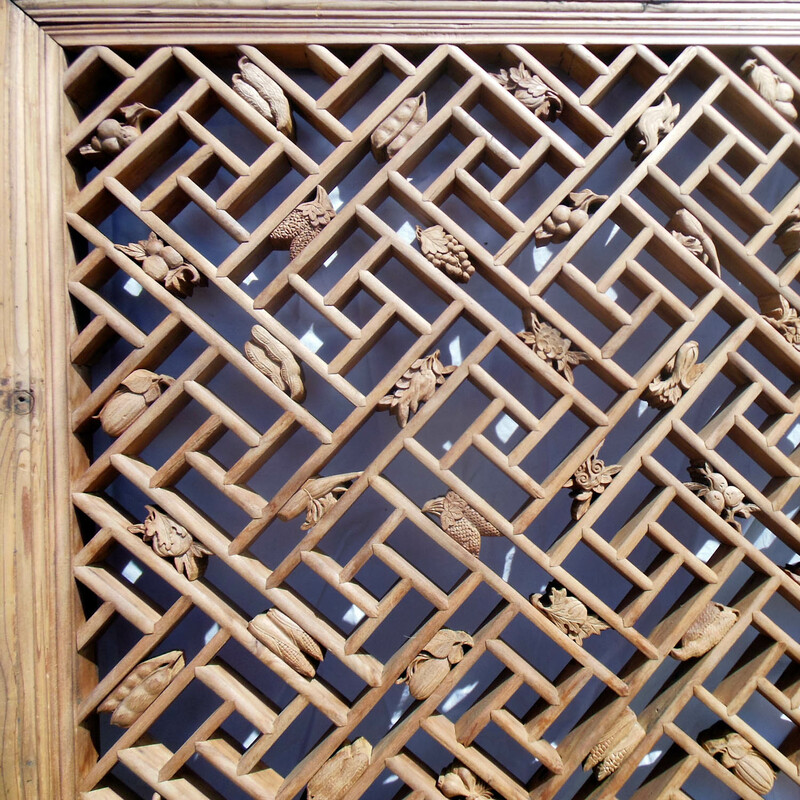 Chinese lattice woodwork is a genre of its own with incompassing skill and design element. 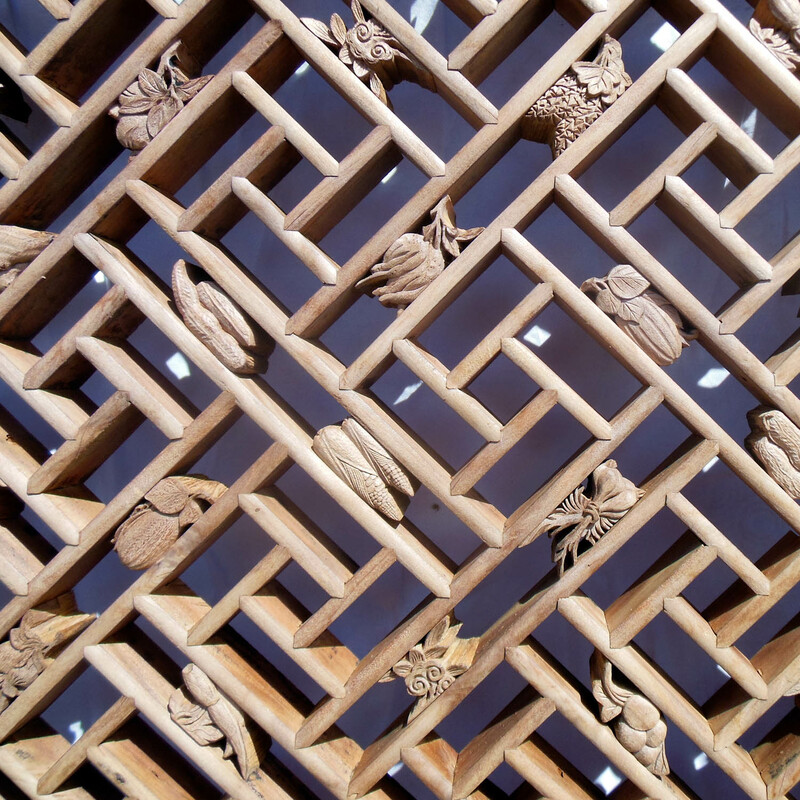 Some of the wooden latticework, like this set, from the Jiang-Zhe area carries the literati taste and aesthetics like furniture and some other types of Chinese artwork, and is an important cultral asset of the traditional Chinese art.